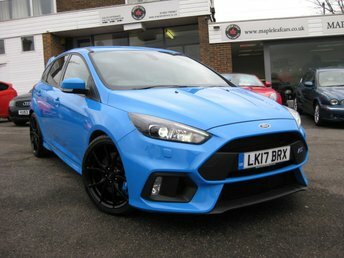 Nitrous Blue with Black embossed RS Seats with Leather bolsters. Blue painted Callipers. 19'' forged black alloys. Style pack. Navigation. Bi Xenon Headlights. LED daytime running lights. Adaptive headlights. Rain sensor. Auto headlights. 10 Speaker audio system with sub woofer. DAB Radio. Reverse camera. Launch control. Auto start stop. Dual mode damper settings. Headlamp wash. Navigation with 8'' touch screen voice control. Heated front screen. Electric and heated mirrors. Electric folding mirrors. Full service history. Ford warranty until 10th August 2020. Immaculate condition throughout. Please call with any questions or to reserve this vehicle. All handbooks, keys and documentation. Style pack. Navigation. Heated seats Low mileage. Full Leather. Xenon Headlights. One owner. Beautiful car unmarked in Red with full Black Leather ST Recaro seats. Navigation. Keyless Go. DAB Radio. Heated seats. Heated front Screen. Xenon headlights. Auto air con climate control. Cruise control. Leather multi function steering wheel. Illuminated sill ST3 logos. Electric folding door mirrors. Unmarked 18'' Alloy wheels surrounded by original premium brank tyres. Auto headlights. Rear parking sensors. Bluetooth phone prep. All handbooks, keys and documentation. Ford warranty until 15th March 2021. Another of Ford's cars that needs little introduction. The Focus is a family car that offers great value for money, is pleasurable to drive and provides all the practicality you could want from a vehicle of this size. 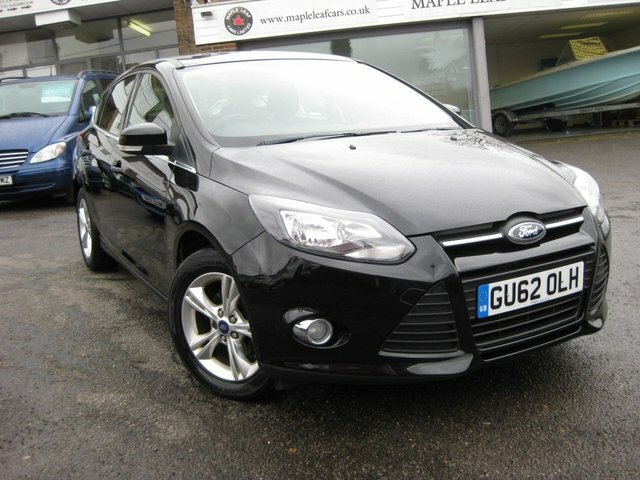 The best way to decide whether one of the used Ford Focus models for sale in Billingshurst at Maple Leaf Cars is for you is to get behind the wheel. Pay a visit to our Billingshurst showroom today and a member of the team will be more than happy to walk you through the complete range of options in stock. Rest assured that all of our used cars are thoroughly tested and checked before arriving on the forecourt.